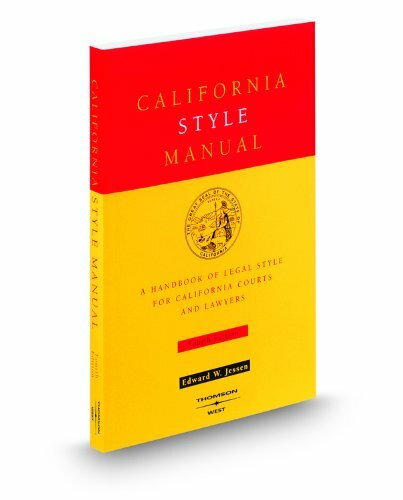 The California Supreme Court has adopted this style manual as the official guide for styling citations, making it a critical handbook for California courts and court personnel. The first update since the 1986 edition, this publication is reorganized for ease of use. It reflects changes in recent years and covers the preferred methods for citing legal information taken from the Internet, CD-ROM, and online research services. It also provides clear, comprehensive direction on citing recently filed opinions and legislative history.